In 1860, Emil Mahla founded our pencil company in Nuremberg. His foreman, Jean Denecke took over the business in 1876. 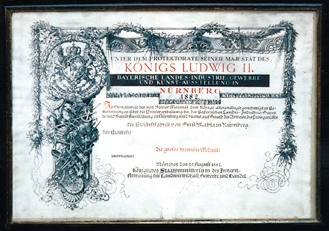 In 1907 he established today's company in Hersbruck. Some three generations later, in 1988, brothers Manfred and Reinhard Raum, great grandsons to Jean Denecke, purchased the company and began driving it into the new era of pencil manufacturing. As we are family owned and operated, we proudly stand behind our obligation to tradition and our values of quality, service and superior standards of workmanship.